Greetings, fellow plant geeks! When you have the opportunity to visit London, England by all means check out Buckingham Palace, explore the Tower of London, ride the London Eye and say “hello” to the Queen. But make sure that you take the time to enjoy all the plant life that surrounds you while you’re there; it’s amazing! Because of the year-round temperate weather and abundant rainfall, London is a gardener’s paradise. Space is at a premium, but that doesn’t stop people from filling every nook and cranny with greenery. The flowers, vines, trees and shrubs are encouraged to grow as they will on walls and fences, along walkways and in a variety of containers with only minor human interference. The effect is a sort of organized disarray – and it’s charming. I was pleasantly surprised to discover many of the plants we sell at Fairview are well-represented across the pond. Passion flower vines (Passiflora) grew vigorously on an old stone wall. 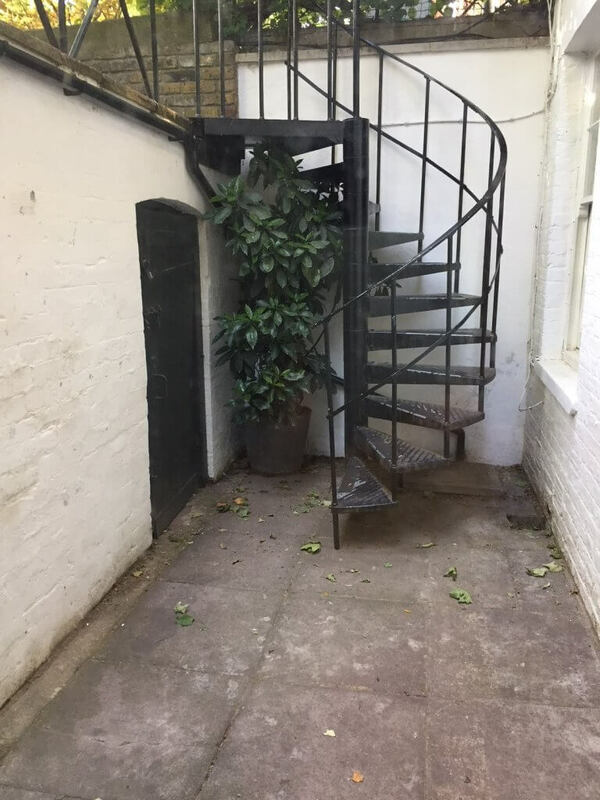 A good-size spotted laurel (Aucuba japonica) in a large container grew up the center of a spiral iron staircase. Evergreen clematis (Clematis armandii) covered an otherwise unattractive wire fence. English ivy (Hedera helix) was literally everywhere. Many London gardens contain perennial spurge (Euphorbia), which grows profusely both in the ground and in containers. 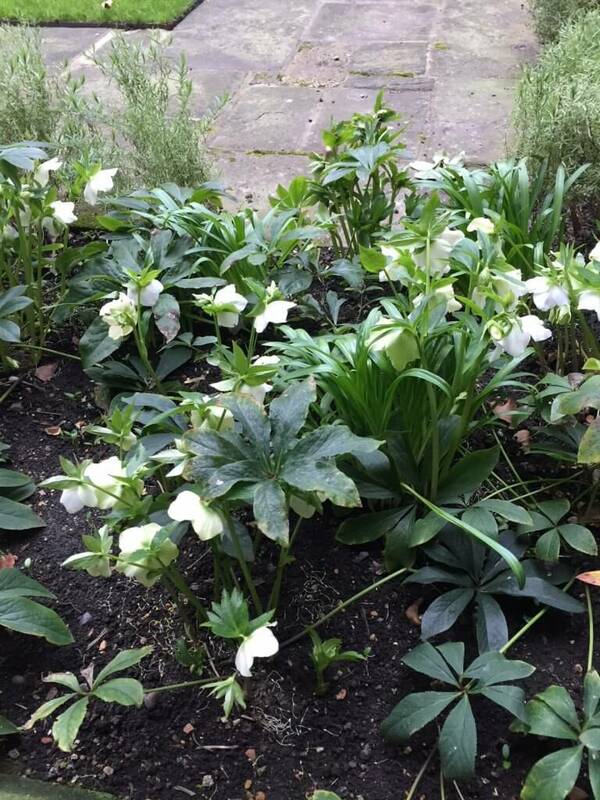 I saw numerous varieties of Lenten rose (Helleborus) growing amongst trees and shrubs, as well as tucked into window boxes. Window boxes are very popular; it seemed like everyone had them, and cyclamen were at the top of the list of contents. In fact, I found that the way we use pansies here for cool-weather color is how the British were using cyclamen! 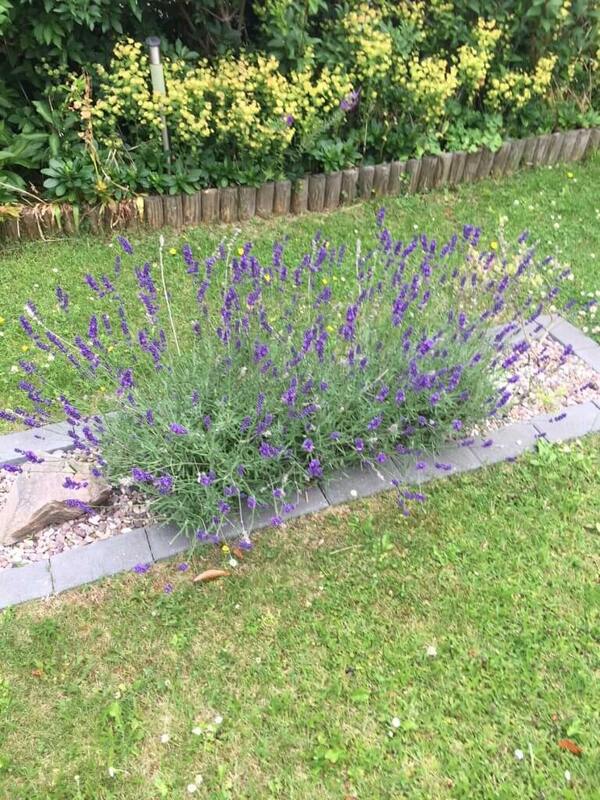 I saw lavender of practically every known variety in beds and containers. 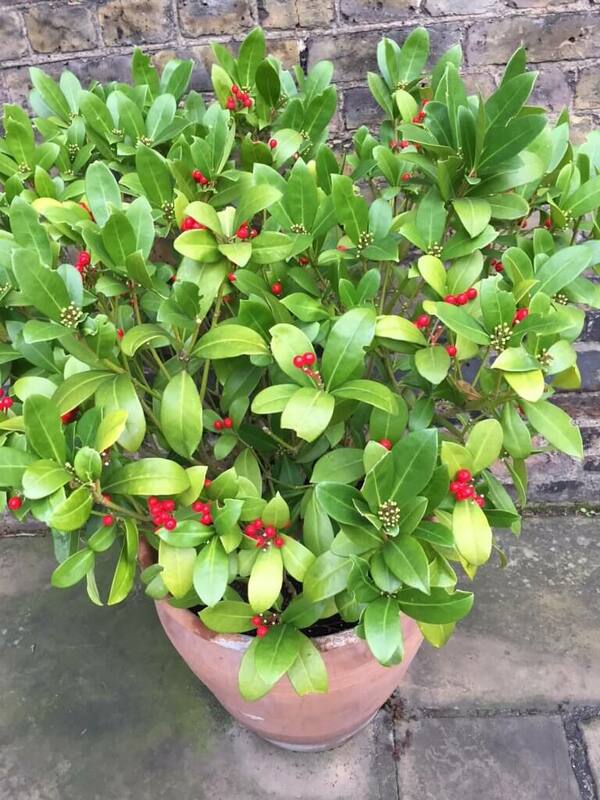 I found a particularly gorgeous Skimmia japonica planted in a large clay pot in the Cloisters Garden at Westminster Abbey. One property of multiple flats even had an entire front lawn of crocuses and snowdrops! 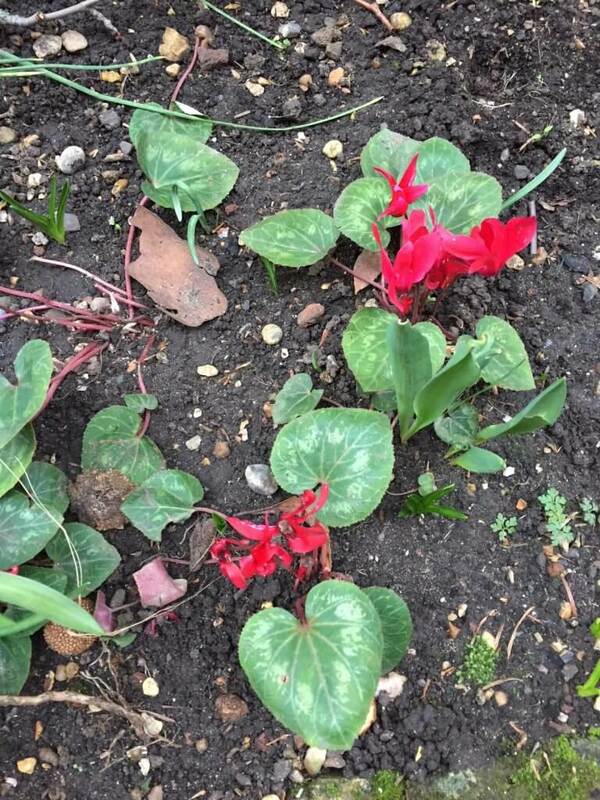 While I was in London, I found beautiful and interesting plants along every street and around every corner, between stones on the ground and in the window boxes of many homes and businesses. Wherever you travel, do take the time to observe the plants that thrive there—what a wonderful way to add to your enjoyment of our world!